A dandy collection fine cigars from Gurkha. All well made, good draw and a variety of strong flavors. A good price too. Cigars were very well made and burnt evenly. Cigars has delicious medium body flavor and true to gauge size. 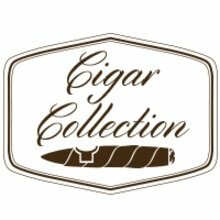 Very happy with cigars and would recommend them! 7 out of 14 found this review helpful. The most disappointing cigars from JR yet. Canoeing, splitting, tasteless and horrible. What a great value. These are all killer cigars in every sense. Well made, great flavor, at a good price. Poorly constructed cigars, inconsistent burn and draw. Most of them split and canoed. Overall one of the six was a good smoke. Beauty, Ninja, and lots of good. 6 great smokes, 1 amazing Beauty, and the Beast. If this set had 2 beauties and no beast it may be the beat ever. Don't get me wrong, they are mostly great. The Beauty is amazing. Well worth the price. I never had a Gurkha before I bought these and I'm glad I never wasted my money on them prior to this purchase. I smoked 3 of the 8 and this is what I got. The Vintage Shaggy XO Maduro smelled like aged cheese and after I smoked about 1/2 inch I had to put it out because of the smell and taste. I'm glad I was sitting around my pool so no one else had too smell it. The Ninja XO Maduro had major tunneling problems, dry and brittle. I got more tobacco in my mouth than was actually burned and put it out after about 10 minutes. The Beauty XO Limited Natural was the best of the 3, but it had a very firm draw and uneven burn that I had to touch up constantly, but at least I was able to finish it. I complained to JR and they gave me my money back on the 5 I have left, I would like to thank them for that. I will stick to my usuals like Perdomo, Macanudo, Arturo Fuentes, Monte Cristo, Cohiba, Oliva etc. Never again will I waste my money on a Gurkha. Gurhka continues to impress me. I haven't had one I didn't enjoy. Always a great draw which is a big ticket for me, and most burn evenly. Flavor is good... so long as you choose the right one for your taste. Highly recommend this set to find your perfect cigar! These cigars were terrible. The Assassin smelled like burning plastic, along with thick black smoke. The others were almost tasteless. The presentation was nice, and the cigars were well made. I still have the Beauty, Beast, Ninja, and Seduction but i'm afraid to smoke them. I'm thinking of just sending them back. I guess I go against the majority here.. bought this sample pack and a 5 pack of another Gurka brand. About 12 cigars in all. Every one of them had some funky taste, all burned poorly or unwound two of them on a draw actually set the cigar end on fire ( I kept them fresh in a proper humidor). They were awful. Although I love the large coffee mugs - they are also a reminder to never Gurkha again. Gave a high consistency rating because they were all equally terrible and poorly made. Very disappointed in the sampler. They were dry the wrapper peeled off along with the binder, no matter how carefully they were handled. You could not keep them lit with a blow touch . Will not purchase again. Gotta love Gurkha cigars. i don't think I have ever had a bad one. There has been a time or two that I've had a legend that tunneled but for the most part they are always enjoyable. I really like the cigars I smoked so far from this sampler. They are well made, come nicely packaged and taste great. Decent sampler pack had a good burn. Bought for a bachelor party and all the guys enjoyed the pack. It is always a duck shoot with Gurkha . The burn and draw is not consistent as well as the burn but their leaf can be really great . These Gurkhas are unreal. The box was at a great price point and the cigars were well made and had loads of cinnamon and nutmeg. I think this is a great sampler. I've only tried one cigar and found it enjoyable and a good smoke.